Faiths in Conversation creates a safe environment for honest and critical religious dialogue that breaks down stereotypes and prejudices, thereby allowing us to understand and appreciate both the other and ourselves. Fellowship and service are natural byproducts. The purpose of Faiths in Conversation is to encourage diverse faith communities to share their respective stories and sacred texts, and discover both the distinctiveness as well as the commonalities of our various faith traditions. Our programs are led by scholars and clergy members, and have been well attended by interested people of various faiths seeking understanding in the safety of Christian, Jewish, and Muslim sanctuaries. Leaving platitudes aside, unafraid, and without apology, both scholars and learners meet to talk about differences and honest heartfelt convictions. After prepared presentations and spontaneous panel discussions, questions emerge allowing the audience to participate, giving all in the room a feeling of welcome and interfaith exchange. The program ends with refreshments and inspiring conversations among seekers and learners of all faiths and cultures. 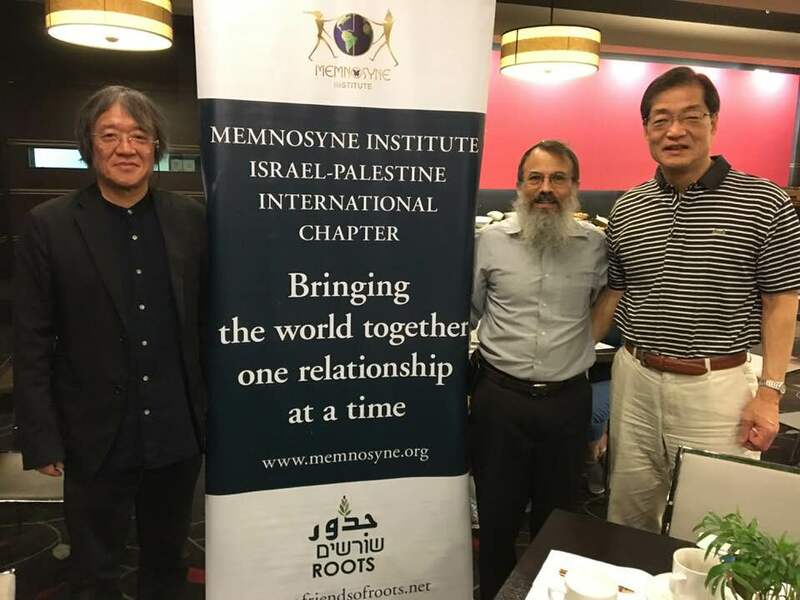 Rav Hanan meets the mayor of Ayabe, Japan, Mr. Zenya Yamasaki and Mr. Hiromi Yano, the head of the Oomoto Peace Institute for Israel and Palestine, while they are visiting Jerusalem. Nov. 18, 2017.